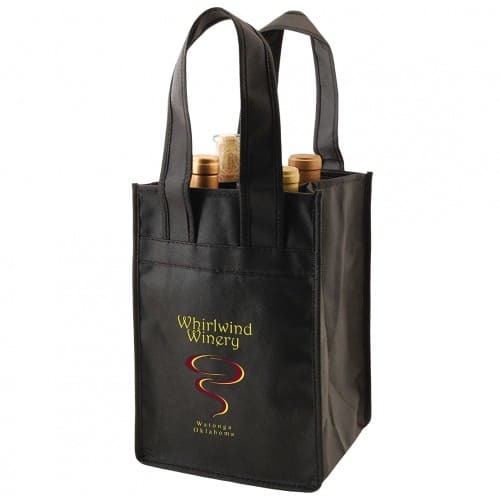 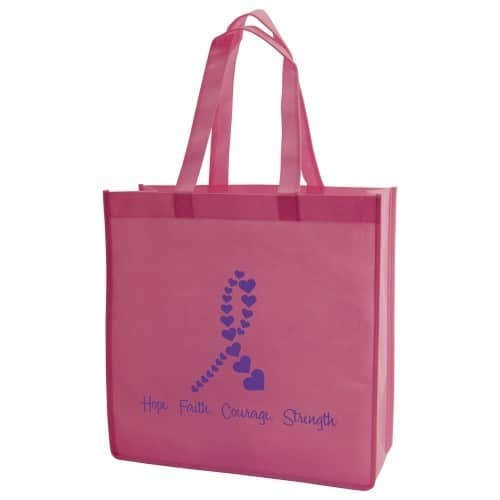 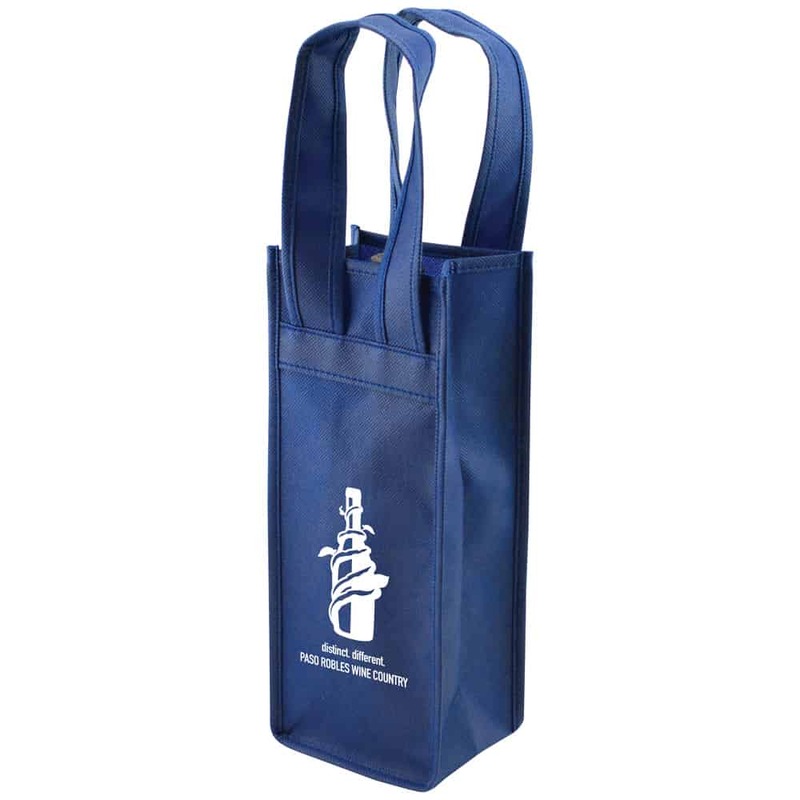 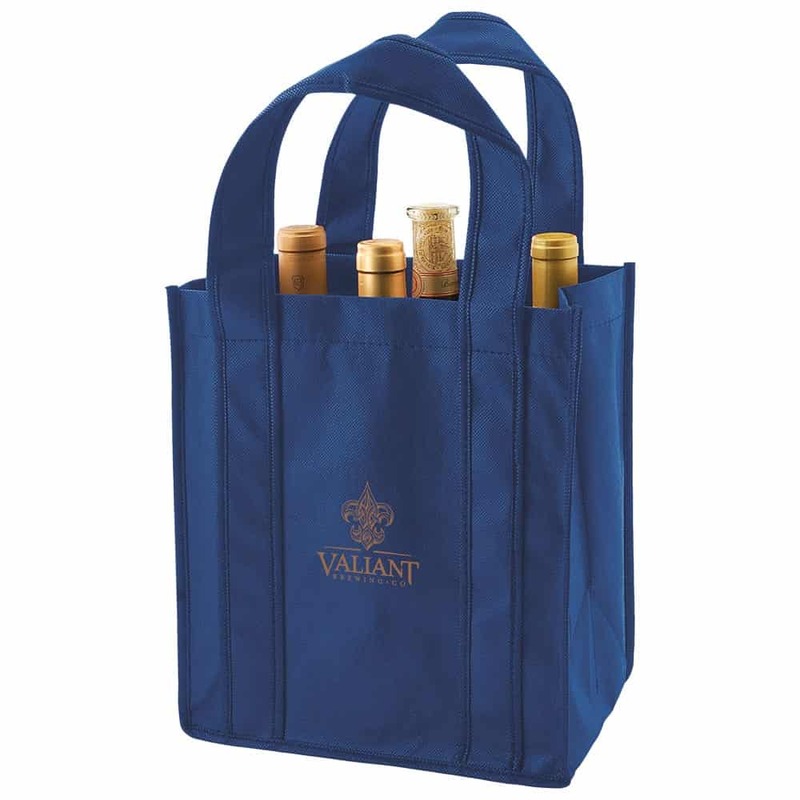 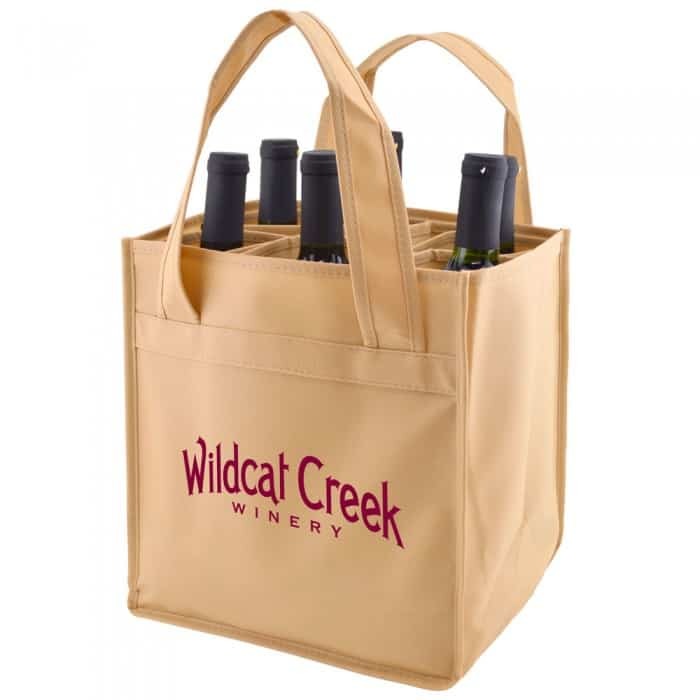 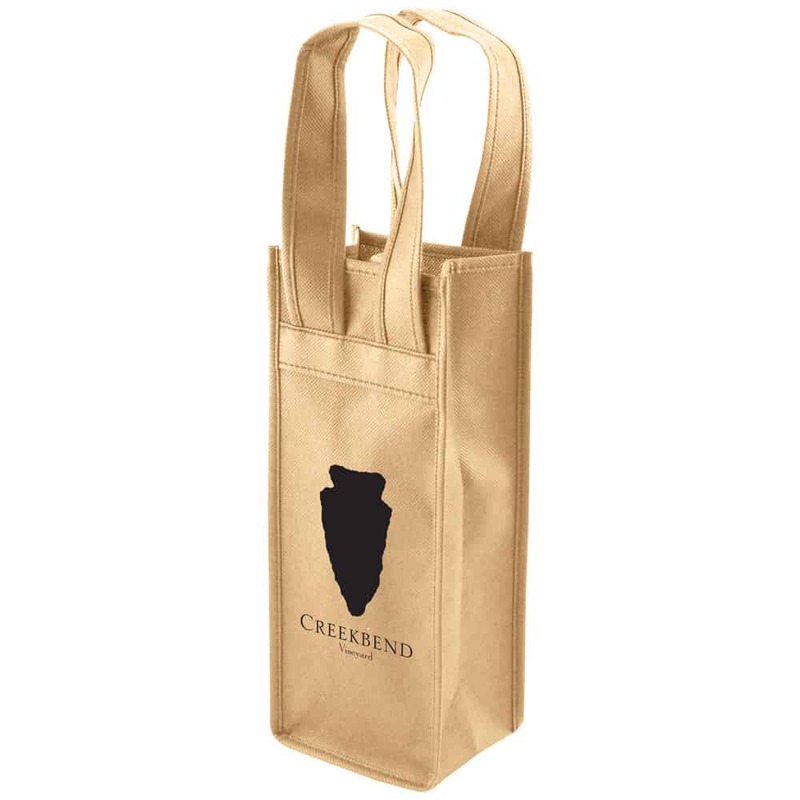 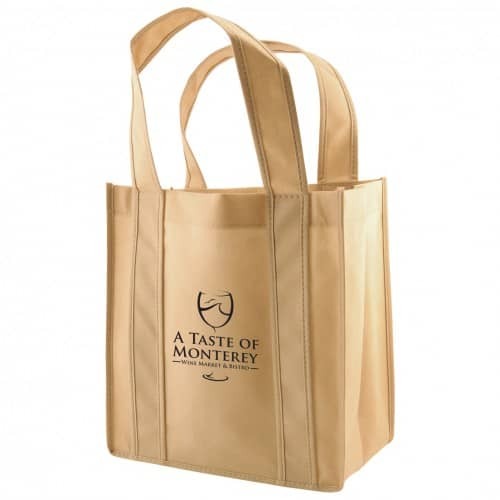 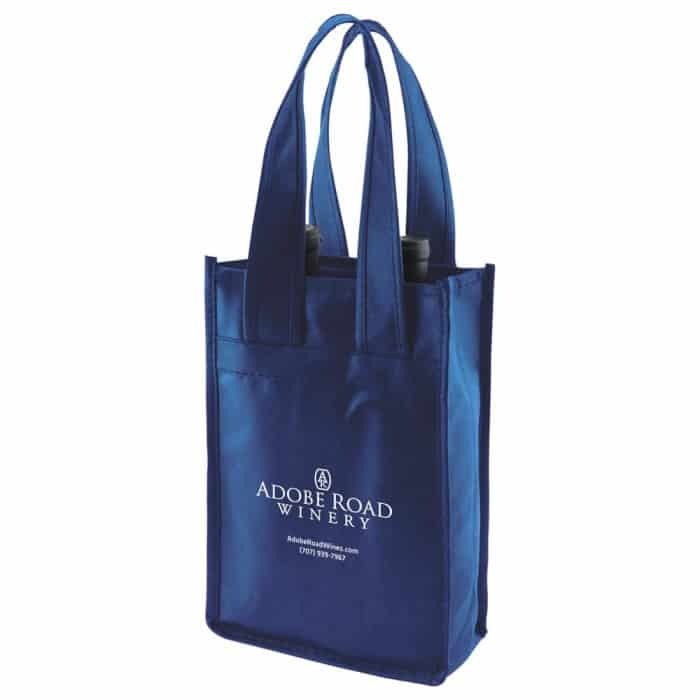 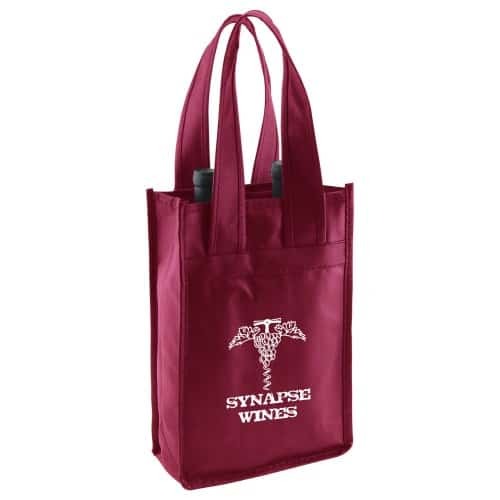 Lightweight yet strong selection of wine totes in premium 100 gsm nonwoven polypropylene material. 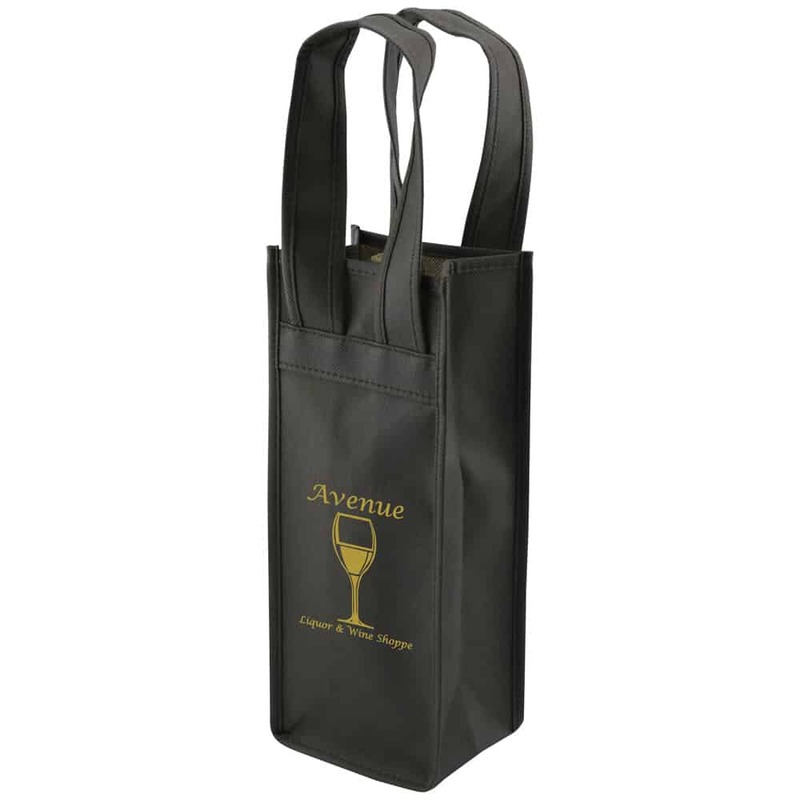 Carry your wine bottles in style and with ease and comfort. 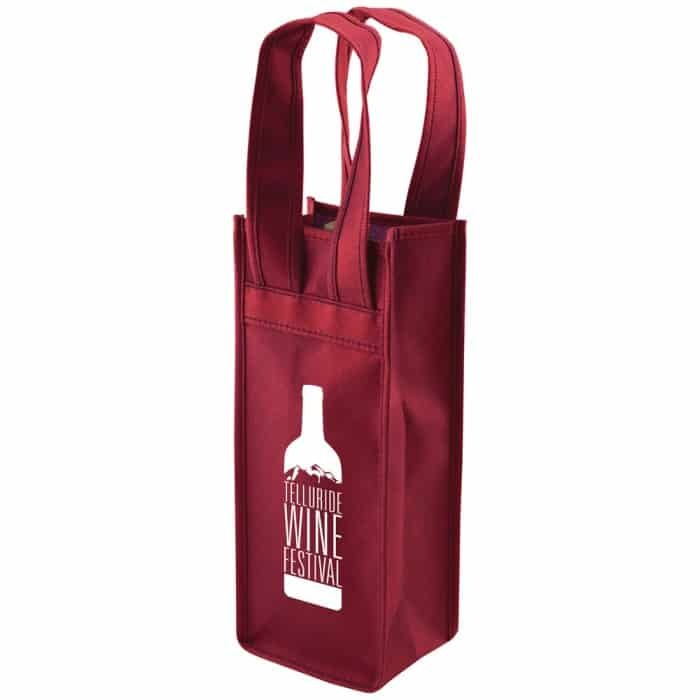 Perfect for wine stores, breweries, liquor stores, retail stores etc. 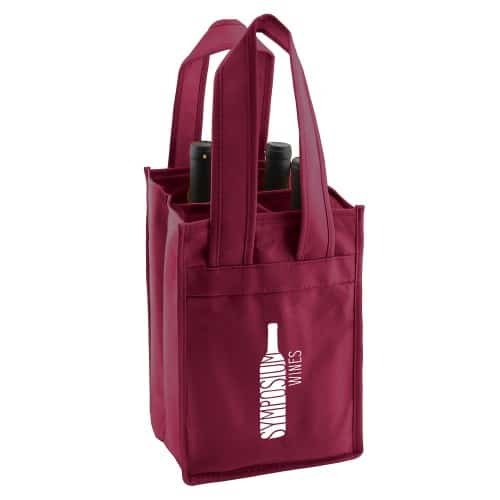 Built-in compartments keep wine bottles separated in the 2, 4, and 6 bag sizes. 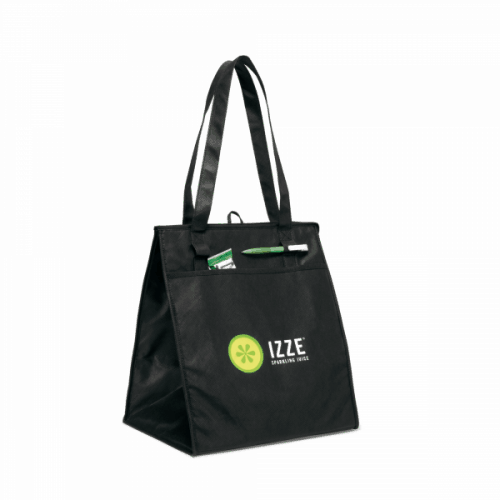 Add your logo for increased marketing and advertising of your brand. 1 Bottle (4.5×3.5×11) 2WIN4311, 16″ handle, available in 5 colors. 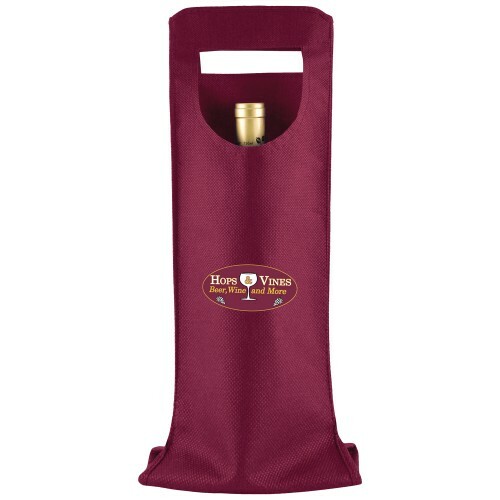 2 Bottle (7×3.5x11x3.5) 2WIN7311 available in 5 colors. 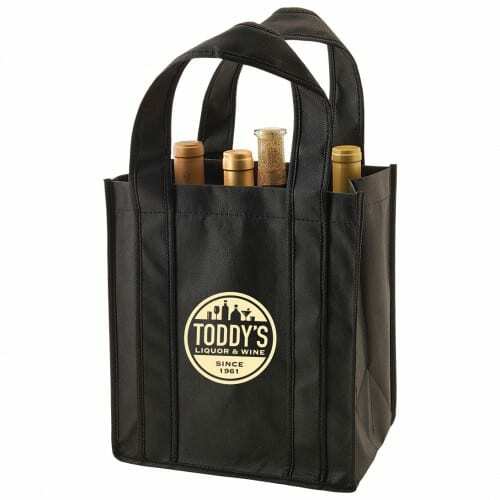 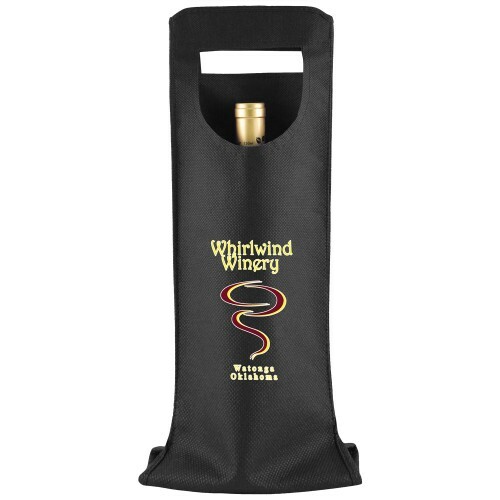 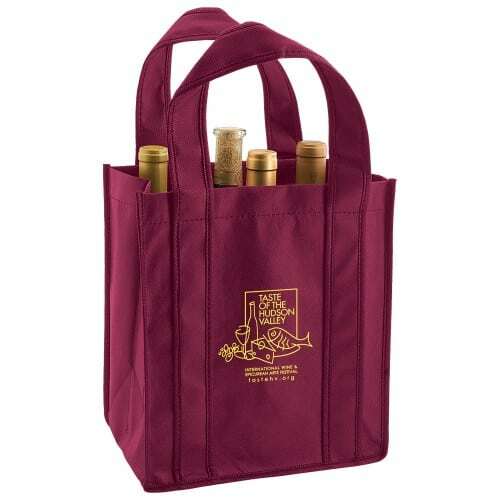 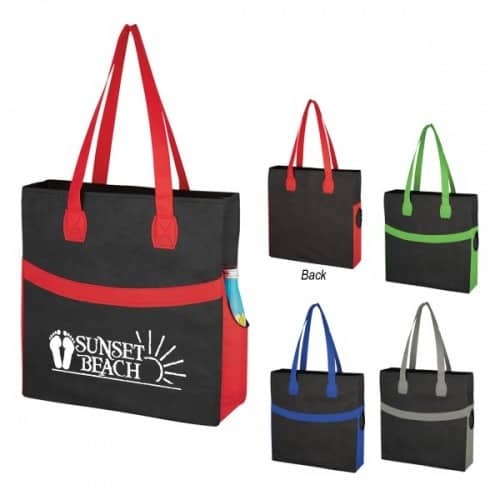 6 bottle wine tote ( 10x7x11x7) has moveable bottle pockets that fold flat. 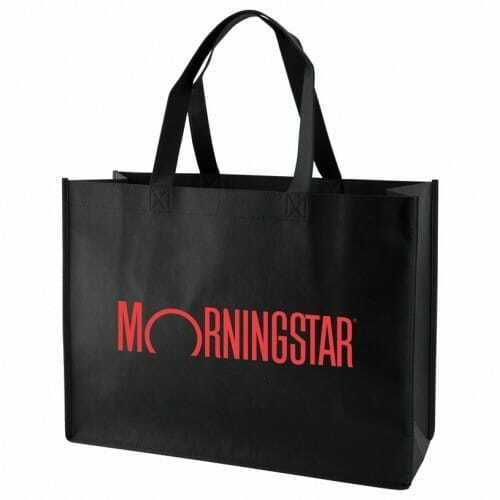 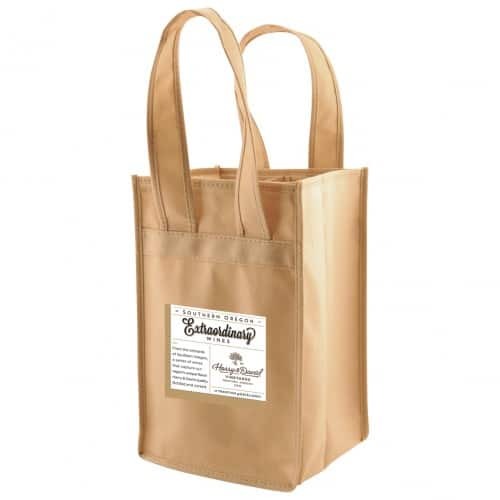 This size is also available for side gusset imprinting, add .40 cents per bag per gusset plus an additional screen charge of $60.00. 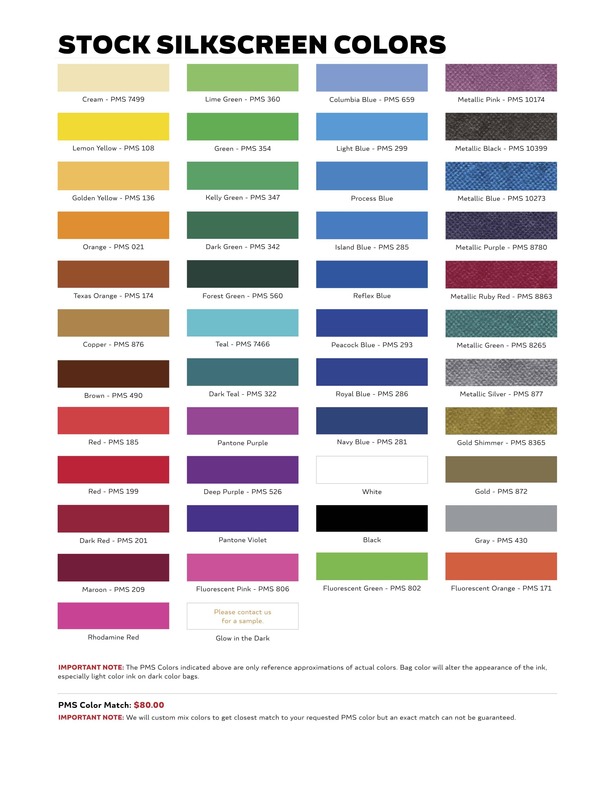 Bottom board insert is available at 18.00 per 100 additional. 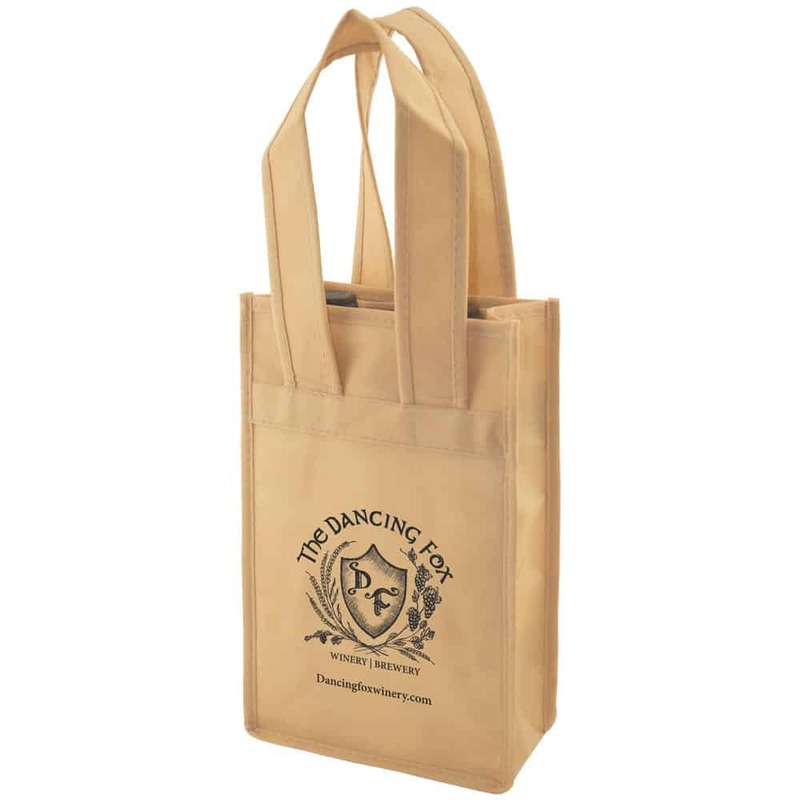 Additional Silkscreen imprint: add .40 cents per bag for additional color or location. Add 60.00 screen fee for each additional color or copy. 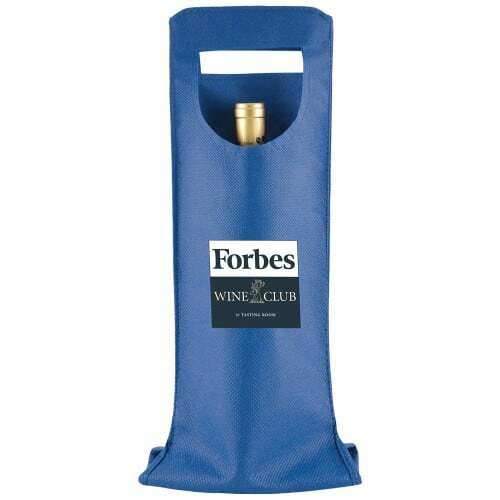 For over 1,000 quantity, please call for pricing.